Over the past 7 trading days, Mortgage rates were wounded with 2 of the largest one-day spikes in over 2 years. Rates rose last week with average rates a 30-year fixed rate mortgage rising from last week’s 3.35 percent to 3.42 percent with buyers paying all closing costs and 0.7 percent in discount points. 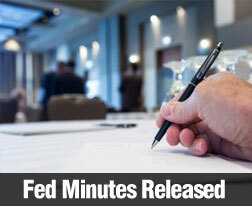 The minutes for the Federal Open Market Committee (FOMC) meeting held March 19 and 20 were released on Wednesday April 10, 2013. 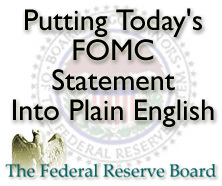 These periodic meetings by the FOMC cover a wide-ranging group of topics that impact the overall economy in the United States. 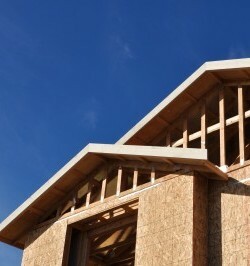 Mortgage rates worsened last week in response to more indications that the U.S. economy and global economic trends are improving. Global economic data was stronger than expected; which generally boosts investor confidence and leads to higher mortgage rates in Sacramento and across the country. At the opening this morning, we are experiencing our 3rd day in-a-row of rising rates. What’s up with that? Thankfully, at the moment, they are clawing their way back. 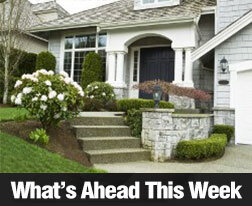 Last week, Mortgage rates rose as investors gained confidence in the global economy. China and Europe posted better-than-expected manufacturing rates, U.S. Jobless Claims fell for the second straight week, and the worst of the European debt crisis appears to have passed. For the ninth consecutive meeting, the vote was nearly unanimous. And, also for the ninth consecutive meeting, Richmond Federal Reserve President Jeffrey Lacker was the lone dissenter in the 9-1 vote. Rates Are Going Down and Fee’s Are Going Up! I Am So Confused. Sometimes, things just have a way of working themselves out. My wife hates when I say that, but in this circumstance it is true. If you read my blog a few days ago, I braced my clients for fees to increase on all conventional loans. But thankfully, the news today from The Federal Open Market Committee drove rates right back down. It’s like the fee increase never happened. Why? Because the Fed voted to leave the Fed Funds Rate unchanged within its current target range of 0.000-0.250 percent. For the eighth consecutive meeting, the vote was nearly unanimous (9-1 vote).